In terms of professional shirt fabrics, professional shirts are generally made of high-quality worsted cotton and pure wool products. Blended shirts with cotton and wool as the main components can be selected as appropriate. It is not advisable to choose flannel, washed cloth and chemical fiber cloth. Shirts made of cloth should not be made of silk or pure linen. Today, 100% Cotton Kahki Fabric Manufacturer will give you a little common sense about shirts from both the sleeves and the collar. Shirt sleeves: It is necessary to make a sleeve shirt for professional shirts. Correct use of single-layer cuffs and double-layer cuffs: Double-layer cuffs, also known as French-style shirts, are introduced by professional wearers. Their primary role is to wear decorative cufflinks (also known as cufflinks and cuff chains) to add value to themselves. The elegant style is an important accessory worn by business men in formal occasions abroad, but if you put them on a single-layer cuff shirt, it is not a bad thing. 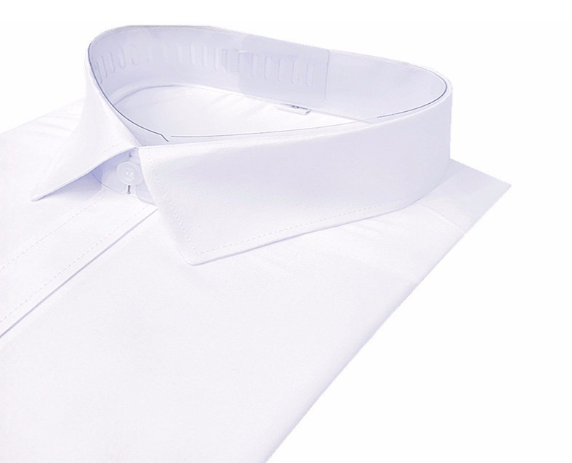 Shirt collar: The collars of professional shirts are mostly square collars, short collars and long collars. When shirt collars are selected, they should be related to the size of their face, neck and tie knots. They should not make them contrast with each other too. Big. Sometimes you can choose a button-down shirt, a collar, a wing collar and a shirt with a different color collar. We mainly produce a variety of fabrics, such as: Plaid School Uniform Fabric, Polyester Viscose Blend Suiting Fabric and other different fabrics for you to choose from, come and contact us. Next: How Are The Fabrics Classified?